USAC cars (the predecessors to IndyCars) raced on ovals. Monza had a freshly-built oval. The Italian Automobile Club and American sanctioning body USAC put two and two together and decided that it would be a good idea to host a race at Monza - not just for the USAC cars, but also for F1 cars. 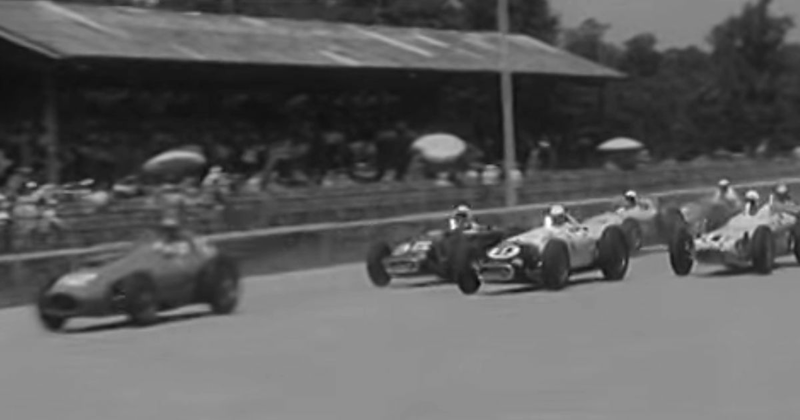 The first event was set up for 1957 and would be run to a 500-mile distance over three heats of 63 laps, with the winner being the driver with the highest combined average speed over the three races. Run to USAC rules, the circuit was run anti-clockwise and turned out to be even faster than Indianapolis, with the top drivers achieving average lap speed of over 170mph. In 1957! Unfortunately, it wasn’t quite the success it was hoped to be - of the 15 cars entered, 10 were USAC cars and just two were F1 cars - a privateer Ferrari driven by Mario Bornigia, and a Maserati for Jean Behra. It turned out that most of the F1 teams and drivers felt that such a long race around just Monza’s banking would be too dangerous, and boycotted the event. Oh, the other three cars? They were Jaguar D-Types, fresh from winning Le Mans, because why the hell not. Unsurprisingly, the American teams dominated the event, with overall victory going to Jimmy Bryan. As for the F1 cars? They didn’t even start the race - the Ferrari privateer pulled out almost straight away, and Behra’s Maserati handled so badly that they too withdrew, even before qualifying. The D-Types did alright, though - not in terms of speed, but in endurance, with all three cars lasting the distance as seven of the 10 USAC cars fell by the wayside. Undeterred, the event was scheduled again for 1958. This time things were a little better - as well as 12 USAC cars there were three Ferrari F1 cars (with slight modifications for oval racing), two Jaguar D-Type’s, and two ‘custom’ cars built specifically for the event - a sportscar-based Lister-Jaguar, and a bespoke Maserati which would be driven by Stirling Moss. There were also some famous F1 names in the USAC cars as both Maurice Trintignant and Juan Manuel Fangio were in attendance. 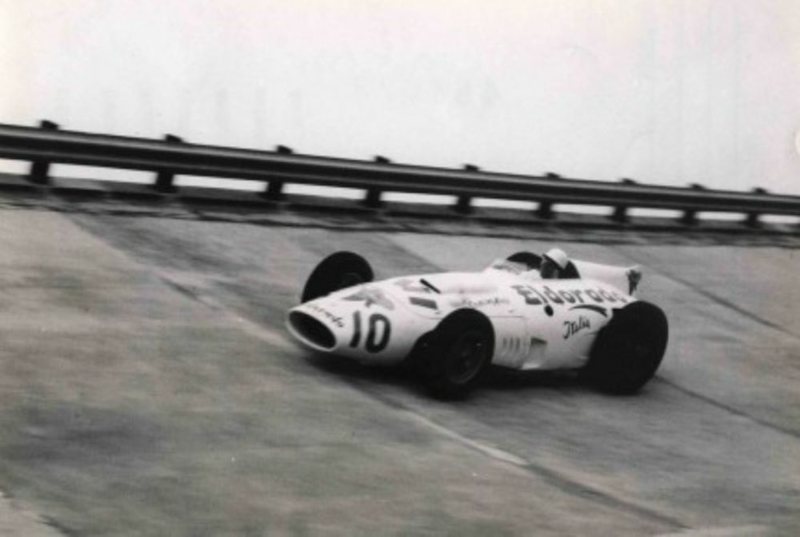 Unfortunately, neither made it very far - Fangio’s car broke ahead of the first heat, whilst Trintignant had enough of oval racing after the first race and withdrew. Whereas the F1 cars had been ill-prepared the previous year, second-time-around they were much more competitive to the extent that Luigi Musso actually qualified on pole in his Ferrari. Come the races, though, it was a familiar story - the USAC teams dominated as the F1 cars wound up three laps down by the end of each heat. Stirling Moss’s custom Maserati fared rather better, but he retired in the final heat. Jim Rathmann won all three heats and was declared the winner. Although the events were well-attended, both by fans and teams, it wasn’t enough. The event simply wasn’t generating enough money, and the curious concept came to an end after just two years. Despite the dominance of the USAC teams, the progress shown by the F1 teams and European manufacturers showed that, given a bit more time, the races might not have been such a foregone conclusion. These days, IndyCar and F1 have become too different for such an event to even be remotely competitive. F1 cars are much faster, whilst oval-spec IndyCars are too specialised and the costs of altering F1 cars to race for three hours on an oval would be astronomical - and that’s before you even get into the politics. Still, a one-off exhibition event (perhaps with a couple of LMP1 cars thrown in for good measure) would be quite the spectacle, don’t you think?